Non-Disparagement and Non-Defamation Policy. The prohibition from making “disparaging or defamatory comments about Echostar, its employees, officers, directors, vendors, [and] customers” was deemed overbroad because it chilled employees from commenting on the terms or conditions of their employment. Communications with Media Policy. The policy restricting employees from communicating with the media through print, TV or the Internet without prior authorization was found to violate the NLRA because it chilled employees’ right to seek support to improve their working conditions from others outside their workplace. Confidentiality of Internal Investigations Policy. The requirement that employees “maintain confidentiality” of their participation in internal investigations was found to violate the NLRA because it did not apply a case-by-case analysis to balance the employer’s need for confidentiality against its employees’ Section 7 rights. Insubordination Policy. The definition of insubordination as “[t]he refusal to follow a reasonable work directive or undermining the Company, management or employees” was deemed to violate the NLRA because it could be interpreted to prohibit employees from challenging their working conditions. Confidentiality Policy. EchoStar held that the company’s confidentiality provisions complied with the NLRA because they were designed to protect confidentiality of the employer’s proprietary business information and to not prohibit discussion of employee wages. In Costco, however, the Board held the confidentiality provision prohibiting disclosure of “payroll information” violated the NLRA. EchoStar is particularly troublesome because it struck down many policies that are commonly used by unionized and non-unionized employers alike. Given the NLRB’s recent efforts, it would be wise for employers to take time to carefully review their policies and rules to ensure that prohibitions on employee conduct, especially online and social media activity, are tailored to comply with the NLRB’s recent directives and decisions. 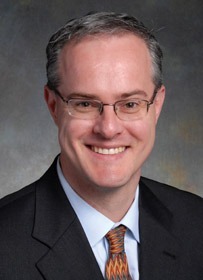 — Wade Davis is a shareholder in Leonard, Street and Deinard’s Mankato, Minnesota office where his practice focuses on litigating and resolving business and employment disputes, and advising employers in employment-related matters. Wade is a member of the firm’s Labor and Employment Group and is a MSBA Certified Labor and Employment Law Specialist. He regularly defends employers against claims of sexual harassment, and age, gender, race, disability and religious discrimination.